First you will need to decide if you want the blinds to be inside or outside mount. An inside mount will go within a recess or framework and will highlight an attractive molding or window. 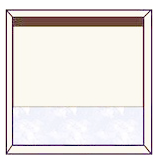 Outside mounts will hang outside the opening of a recess, either on the frame or above and beyond the frame. If you outside mount, you can make a window appear larger or hide an unattractive window. If you are mounting your blinds directly to the frame of the window, measure the exact width and height of the wood frame itself, from outer edge to outer edge. Or, for maximum privacy and light control, go above and beyond the window frame. We recommend adding between 3in. to 6in. to your width measurement. Also add at least 2in. to your height measurement to allow enough room for the mounting brackets and headrail above the opening. There will be no additions or deductions made to your outside mount specifications. 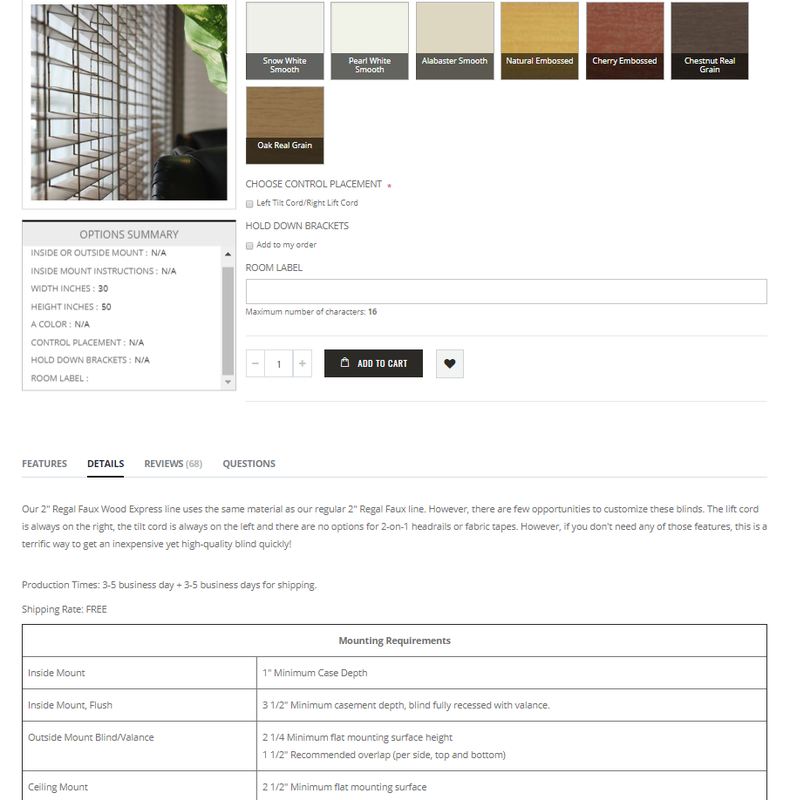 A flush mount means that the blind will be fully recessed within your window if you have the amount required by the specific product you are selecting. 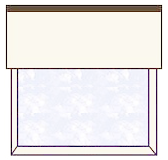 If you have less than the flush mount requirements or the minimum depth requirements, then your blind will protrude a bit beyond the frame of the window. If you have less than the minimum depth requirement, you will not be able to mount inside of the window. You will want to consider an outside mount. Measure the width in several places as windows are often not even from side to side. We recommend taking at least three measurements for the width-top, middle, and bottom. Write down those three measurements and circle the smallest one. That will become the width measurement that you provide. Measure the height in several places as windows are often not even from top to bottom. We recommend taking at least three measurements for the height- left, middle, and right. Write down those three measurements and circle the largest one. That will become the height measurement that you provide. Do not make any deductions or additions to those exact measurements as our factory will do this for you. On our fauxwood, basswood, and mini blinds the deduction made on the width will be approximately 1/2in. to ensure a proper fit. A +/- 1/8in. tolerance is considered normal.